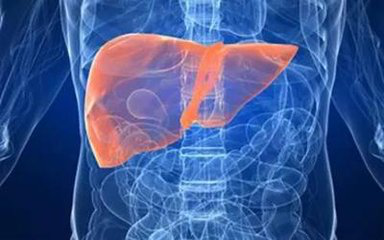 Non-alcoholic fatty liver (NAFLD) has become the major cause of hepatocellular carcinoma (HCC) in developed countries. NAFLDassociated HCC patients have a shorter survival period, a later tumor stage, and a lower likelihood of undergoing liver transplantation. But the mechanisms that led to its formation are largely unknown, and targeted therapies are currently unavailable. RNA sequencing analysis of NAFLD-HCC samples by scientists showed that in patients with NAFLD-HCC, squalene epoxidase (SQLE) is the highest abnormal metabolic gene. The hepatocyte-specific Sqle gene expression in mice accelerated the development of high-fat, high-cholesterol diet-induced liver cancer. SQLE exerts its carcinogenic effects through its metabolites, cholesterol esters, and nicotinamide adenine dinucleotide phosphate (NADP+). Increased expression of SQLE promotes biosynthesis of cholesteryl esters, thereby inducing growth of NAFLD-HCC cells. SQLE increases NADP+/NADPH (NADP+) ratio and triggers a series of events including oxidative stress-induced DNA methyltransferase 3A (DNMT3A) expression, DNMT3A-mediated epigenetic inhibition of PTEN, and activation of AKT-mTOR (breastfeeding Animal rapamycin target). In human NAFLD-HCC and HCC, SQLE is overexpressed, and its expression is associated with poor prognosis in patients. Terbinafine, anti-fungal drug targeting SQLE that US Food and Drug Administrationapproved , significantly inhibited NAFLD-HCC cell growth in NAFLD-HCC and HCC cells that induced by sql, and inhibited development of tumors in xenograft models and SQLE transgenic mice . Terbinafine inhibited tumor growth, decreased cholesterol ester concentration, restored PTEN expression, and inhibited AKT-mTOR, consistent with blocking the function of SQLE. In general, we established SQLE as an oncogene in NAFLD-HCC and proposed that the re-use of SQLE inhibitors may be a promising approach for the prevention and treatment of NAFLD-HCC. Biobool have related SQLE kits on sale.Welcome to consult us..